The only thing better than ice cream is free ice cream. 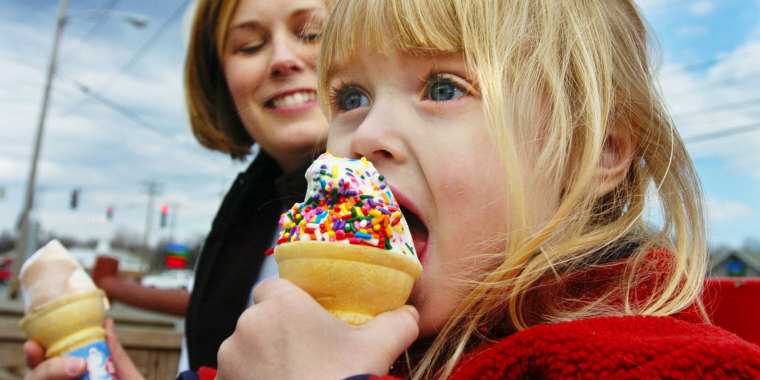 Dairy Queen has a way to say goodbye to winter and support a worthy cause with one simple act: eating free ice cream! Mark your calendars for Wednesday, March 20, when all non-mall locations of both Dairy Queen and DQ Grill & Chill restaurants will be giving away free small vanilla soft serve cones on the first day of spring as part of the chain's Fifth Annual Free Cone Day. The soft serve cones are limited to one per customer while supplies last. Make sure to bring some money anyway, as each location will be collecting donations for local Children's Miracle Network Hospitals. The chain is hoping that since you're getting a free cone, you can instead use that money to benefit children's hospitals in your community that are in the network. Dairy Queen has raised more than $145 million for Children's Miracle Network Hospitals over the past 35 years, according to a news release. "This day has become a spring tradition and a sign that warmer weather is upon us," Maria Hokanson, Executive Vice President of Marketing, said in a statement. Free Cone Day 2017, which Kathie Lee Gifford and guest host Dean Cain helped celebrate on TODAY, raised nearly $300,000 for local hospitals. In 2016, former NFL player Devon Still stopped by TODAY to bring Kathie Lee and Hoda Kotb some free cones to help support his daughter Leah, now 7, who was treated for cancer at a Children's Miracle Network Hospital. "This is huge, because the foundation saves and improves the lives of children at 170 different children's hospitals in the U.S. and Canada," Still said. Hurry up and get here, spring! This post was originally published on March 17, 2018 and has been updated to reflect the information for Free Cone Day 2019.